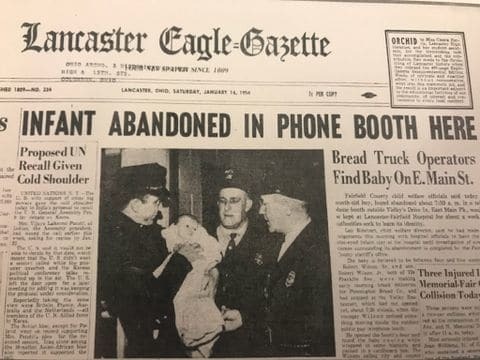 A baby was abandoned in a phone booth 64 years ago. Now, DNA has helped explain why. “They’re always really curious about, Dad, you know, where are you from? You know, what is your heritage?” he said from his home in Phoenix in a video interview published by the Arizona Republic. They decided that Dennis, a retired chiropractor, would submit his DNA to the website Ancestry.com to find out. After gaining popularity in recent years, Ancestry.com and other sites like it have been responsible for solving countless cases of long-lost family members, even assisting police with cracking cold cases in which the alleged killer left DNA at the scene, such as in the case of the Golden State Killer. For $99, people can order the DIY DNA-testing kit, take a swab of their saliva at home and send it back for the results. Ancestry.com has helped a 79-year-old woman meet her 100-year-old birth mother. It has helped two long-separated brothers find that they were attending the same college. And it was about to help Dennis find his mother. Within three months of submitting his DNA to Ancestry.com, he got an email, he said in his interview with the Arizona Republic. A first cousin had “matched” with him, the cousin said — and he believed he knew Dennis’s mother. The cousin put him in touch with his half sister, who then contacted their mother, Dennis said. By then she was 85 years old, living in Baltimore and at first had a hard time remembering all the details. But slowly, “week by week,” Dennis said, it came back to her. Dennis was reportedly told that she gave birth at age 18 but that his father gave her an ultimatum: They could only marry if they left the baby, the Eagle-Gazette reported. On a drive through Ohio from Kentucky, where Dennis was born, his birth father allegedly made the decision himself, taking the baby and leaving him in the phone booth. He would have liked to learn his birthday, he said, but was told the date has escaped his mother.